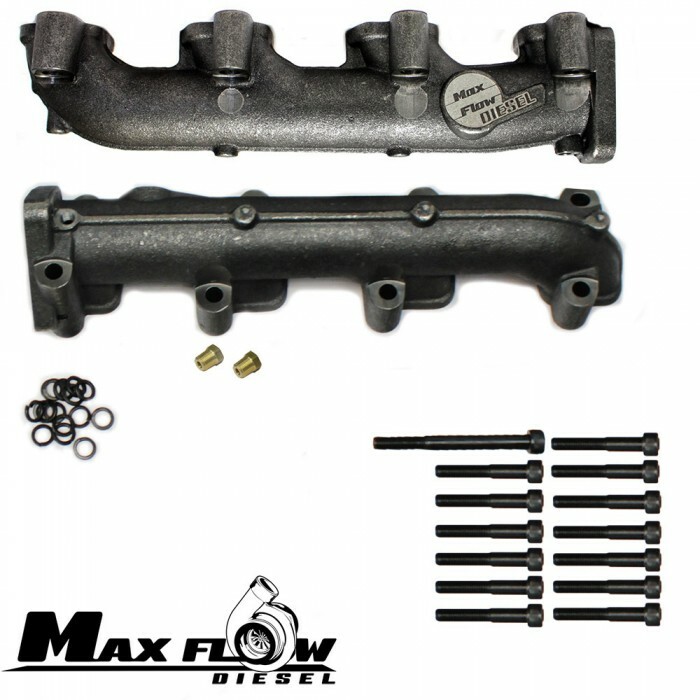 Shop, Share and Save at the only website dedicated exclusively to the Duramax Diesel Owner. 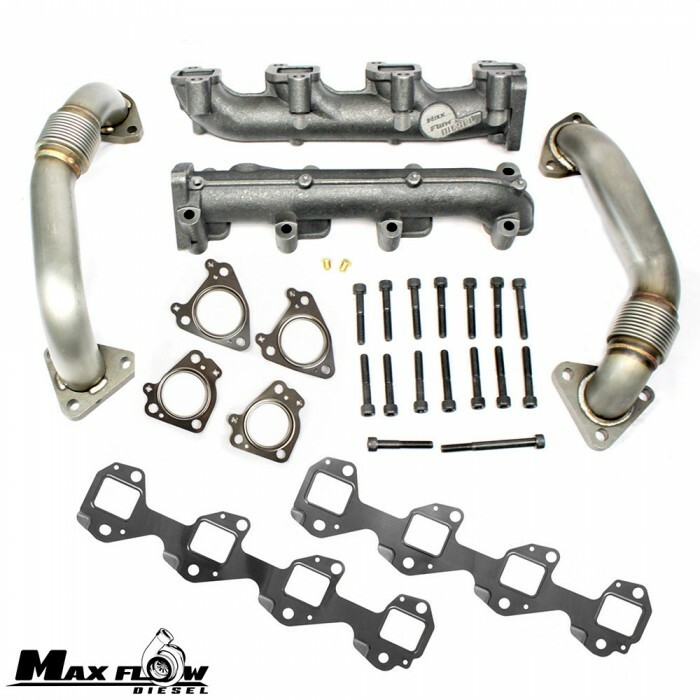 Designed and operated by Duramax Owners for Duramax Owners. Join us now and experience the difference! By purchasing this product, I agree that this product will ONLY be used for race applications and NOT used on public roadways. 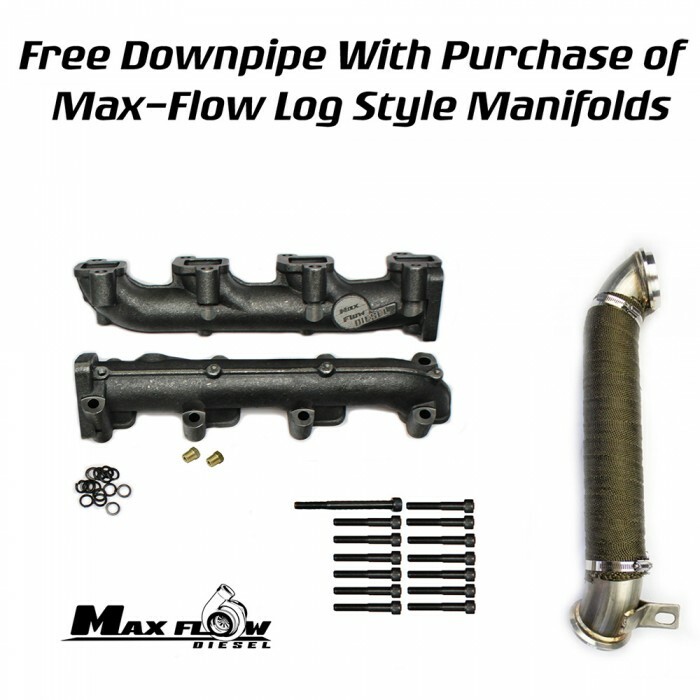 Introducing The Max-Flow Diesel Log Style Manifolds. 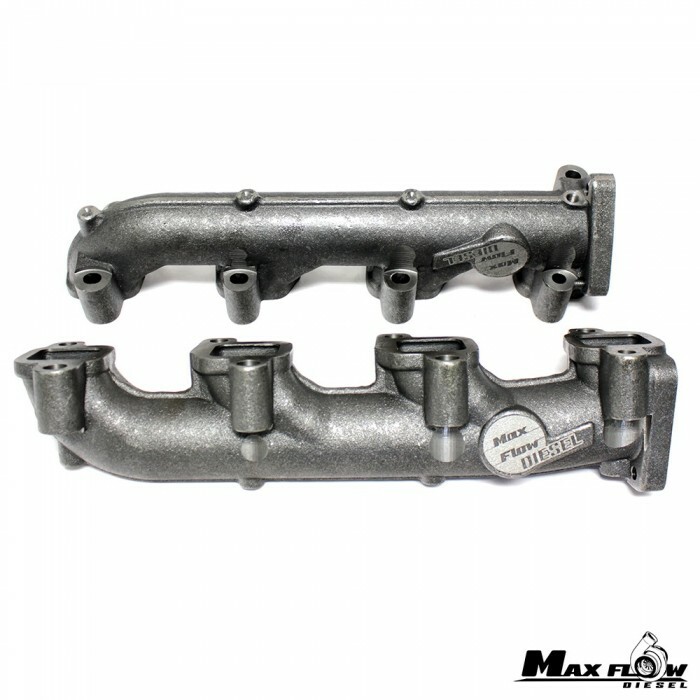 These Manifolds were built for customers looking to utilize stock style Up Pipes while also increasing flow rates and decreasing EGT's. Providing up to an incredible 27% increase (57% increase when paired with our High Flow Up Pipes) in air flow over stock. 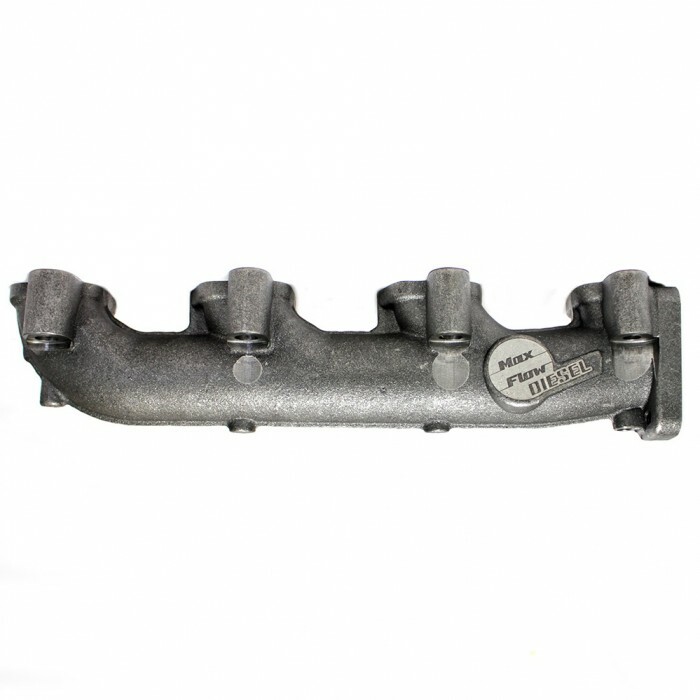 These Manifolds are made tough using high quality Ductile Silica Moly Cast Iron. 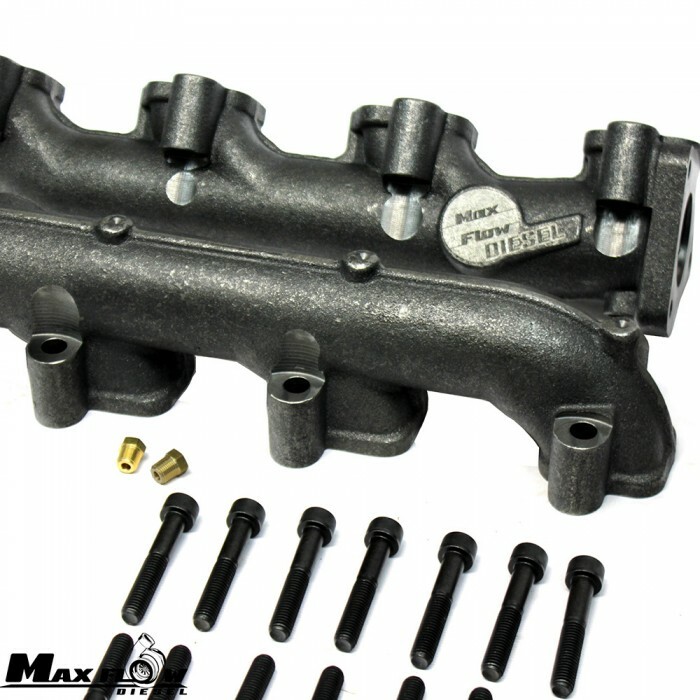 The Manifold ports are CNC machined to match the factory gaskets to ensure the highest exhaust flow possible. 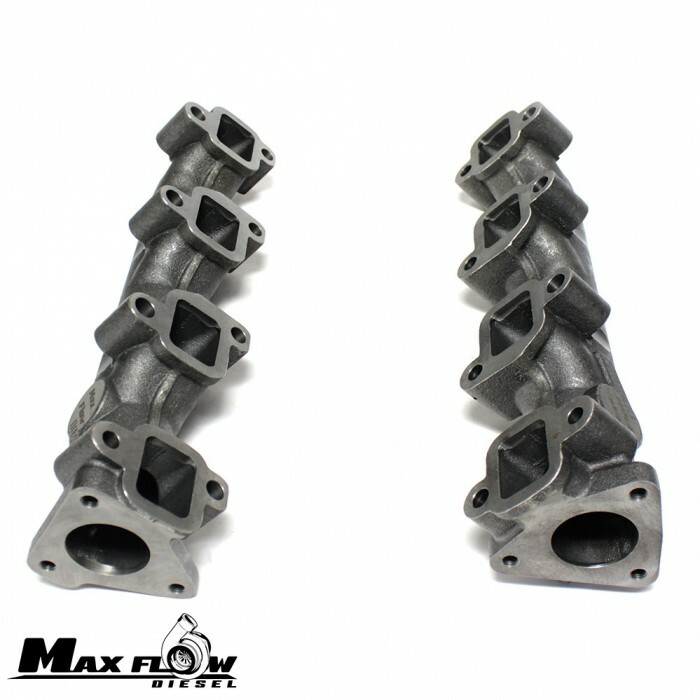 The Max-Flow Log Style Manifolds are compatible with the stock up-pipes, which allows the manifolds to be installed without having to remove the down-pipe or the up-pipes. Up-Pipes are made with .120" wall thickness 304 Stainless Steel and internally sleeved bellows for superior flow and strength. 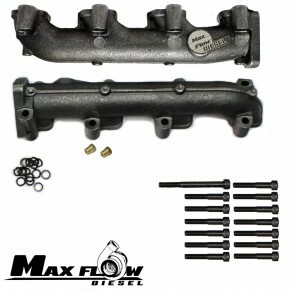 This product may fit up to 2016 Duramax engines, but will REMOVE the necessary emissions devices required for registered street driven vehicles. Removal of emissions devices and use on public roadways will be in violation of local, state, and federal laws. By purchasing this product, you agree that this product will not be used on a registered street driven vehicle.